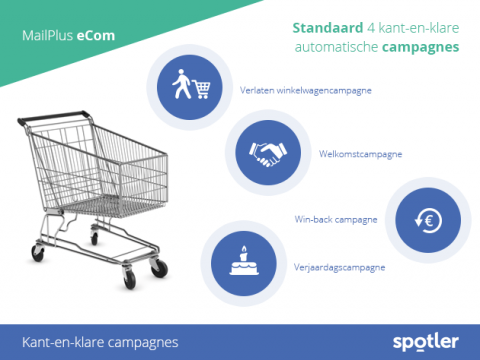 Send fully automatic email campaigns based on (personal) characteristics and (purchase) behavior. "Over 2,700 organizations use Spotler for their email marketing activities"
Spotler develops and delivers the easiest to use software for professional email marketing automation. But it’s not only software. Spotler offers all services for a carefree start and that help customers improve their performance and results. It’s all about being relevant to recipients of email communication. 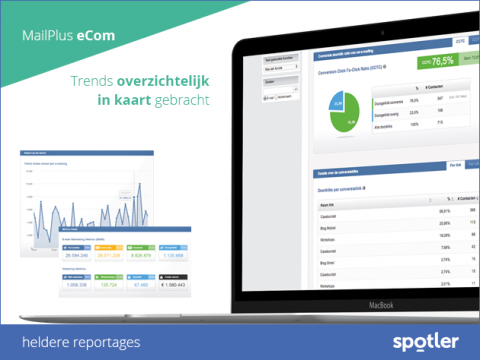 Spotler helps customers to get better in that by using Spotler software. So Spotler takes care of the complete onboarding, including the necessary templates and database integrations. Spotler also trains customer in using the software and the Customer Success team proactively coaches customers to successfully use all modules within the software. If customers have (technical) questions they can call the Support team. Spotler offers real-time support (90% of calls directly solved on the phone) and and finally, Spotler provides access to a large active partner network for full-service work, strategic advice, customer journeys, and integrations with other software.For webshops that use Lightspeed eCom, there is a Spotler Connector for Lightspeed eCom available. 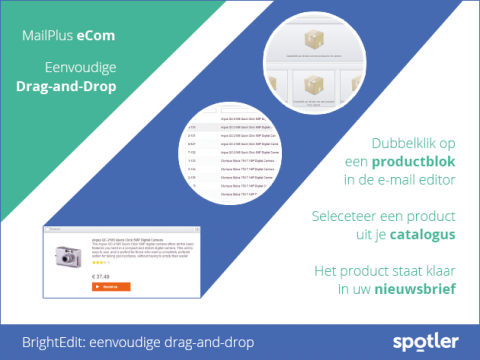 How does Spotler eCommerce work? 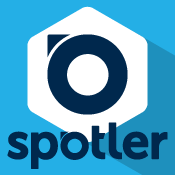 With the launch of the new interface for MailPlus, the software has been renamed Spotler at the same time. Spotler, therefore, supplies Spotler software. But the foundation is built on the MailPlus software. User-friendly software that allows you to send your product newsletters and campaigns quickly, easily and with results. That has obviously not changed with the name change in Spotler. Click to go the installation guide. This Spotler Connector is powered by Combidesk. Also see our other Lightspeed Apps: Zendesk Chat, Tawk.to, Zendesk, MoneyBird.